Thanks Valentine, cph & Eline! Some news on two fronts. Politiken reports that the Folketing voted yesterday in favour of the proposed change in the succession law to give equal rights for firstborn female children of future Danish monarchs to succeed to the throne. Eleven parties voted in favour, while only the left-wing Unity List party voted against the new law. 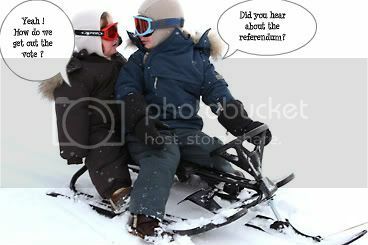 There will be a referendum on June 7th this year at the same time as the elections for the European Parliament. As there is some apathy about voting in European Parliament elections, the required majority in the referedum will be a challenge, despite 88% of Danes being in favour of the change. Forty percent of voters must vote 'yes' in the referdum for it to pass. The proposal has already been accepted once in the last Danish Parliament, but because it has the character of a constitutional amendment, it is also required to be passed by a second parliament before being put to the people in a referendum. 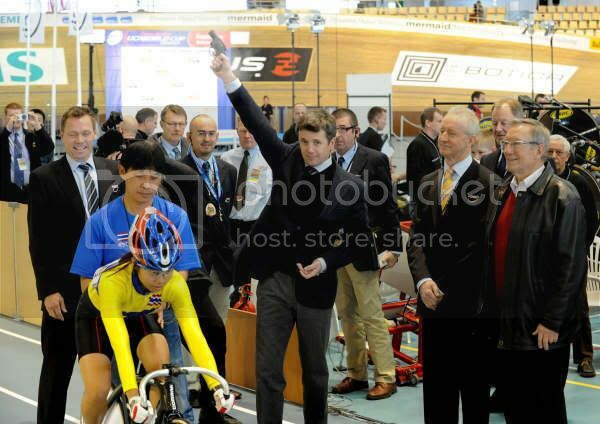 The first time the proposal was presented was when Crown Princess Mary became pregnant the first time. The government at the time wanted to make sure that the child, girl or boy, became a heir to the throne. That became redundant since Frederik's and Mary's first born is a son, but the proposed law will affect the children of Christian eventually. 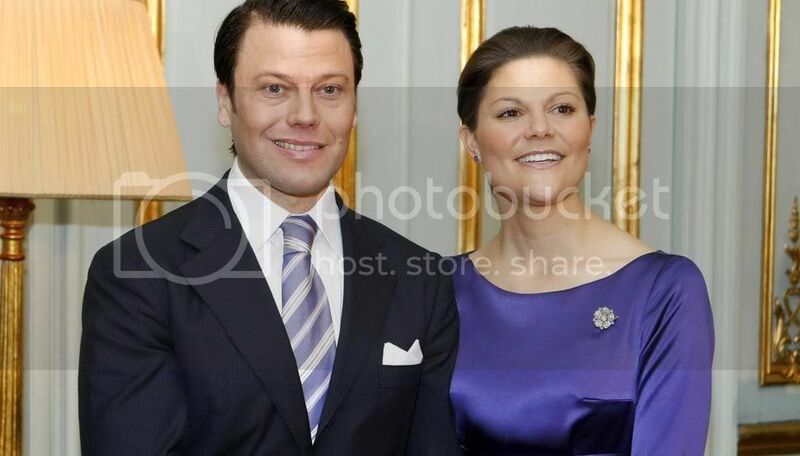 Crown Princess Victoria of Sweden was officially engaged yesterday after King Carl XVI Gustaf approved the marriage and informed the Swedish Prime Minister Fredrik Reinfeldt and the government, as required under the Swedish Constitution. The very popular Victoria will marry Daniel Westling, her boyfriend of seven years, in early summer next year. Upon the marriage Daniel will become Prince Daniel, Prince of Sweden and the Duke of Västergötland. The connection between the Swedish and Danish royal families is through Queen Ingrid, who is Victoria's great-aunt. "With Daniel by my side I feel safe. You have surely seen that in recent years I have grown stronger and happier, and now we can begin preparations to start our own lives and start a family," Victoria said in the video statement posted by Drottningholm Palace in Stockholm. During the internet announcement Daniel said his most important task was to "support the Crown Princess in her important duties for Sweden ... In time, I hope that I too can help serve Sweden in various ways." 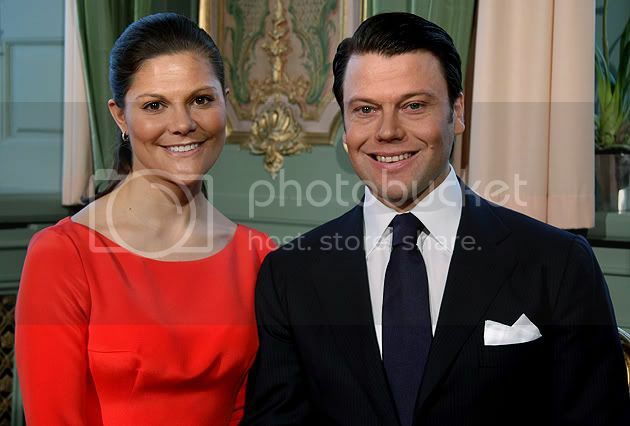 Victoria, 31, is first in line to succeed her father, King Carl XVI Gustaf, to the Swedish throne. 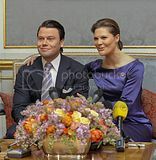 Wedding rumors have mounted since July last year, when Westling moved to the royal family's residence outside Stockholm. Daniel Westling is a 35-year-old owner of a chain of gyms and apparently will give up his business to devote himself fulltime to his royal duties. In the video, the King said: "Dear Swedes, at home and abroad. 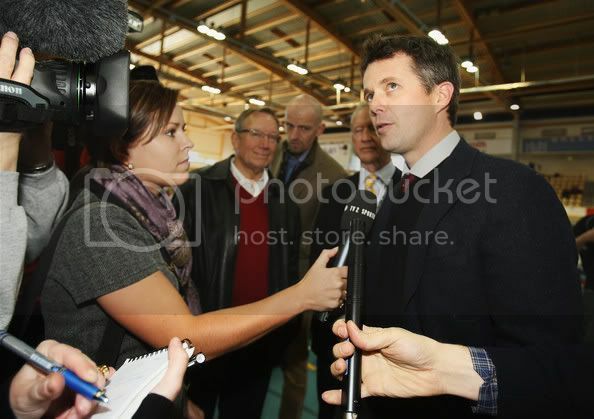 Yes, this is how I tend to begin my speeches on radio and TV when there is something I wish to convey. 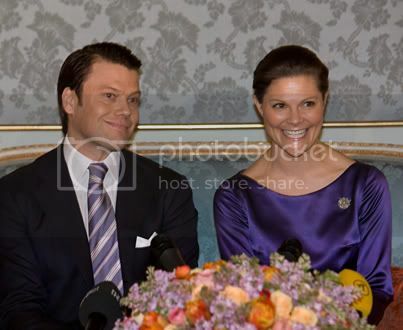 And, as you may have guessed, there is something very special I would like to convey: namely, the public announcement today of the engagement of Crown Princess Victoria and Mr Daniel Westling," said the King, while exchanging glances with his smiling daughter. The King then went on to speak about the qualities of his future son-in-law. "In the past years we have of course got to know Daniel and have understood that he is a young man who works hard and takes life seriously. "That is why it is especially gratifying to extend you a welcome. It was with pleasure that I gave my consent and, in line with the constitution, accepted the consent of the government. "It is of course a special day for us but it is also a special day for Sweden," said the King. Crown Princes Victoria said in the film that she was proud to represent Sweden but that it was easier with help from her fiancé. "With Daniel by my side I feel secure. You have probaby noticed in recent years that I have seemed stronger and happier. And now the time has come to begin preparations for starting something of our own and creating a family," sad Victoria, while looking at at her future husband. 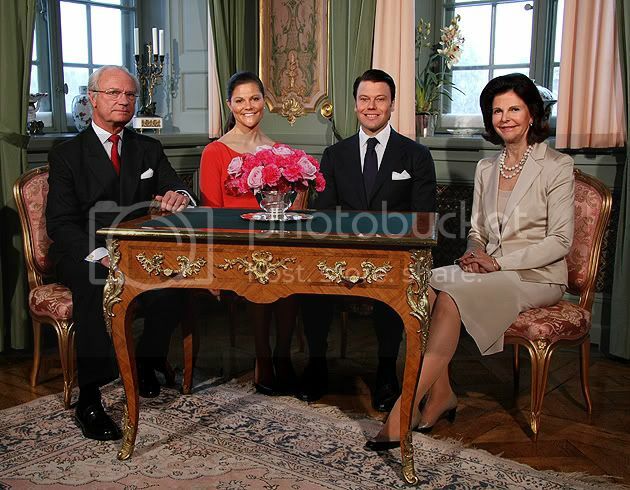 Queen Silvia was full of praise for Westling. "We welcome Daniel into our family with open arms. I view him as a man who is humble yet decisive, as well as judicious and wise. You are full of energy, considerate and will make a wonderful husband for Victoria." The Queen then turned to her daughter. "We have full confidence in you and your choice, Victoria, and I will do everything to support you. 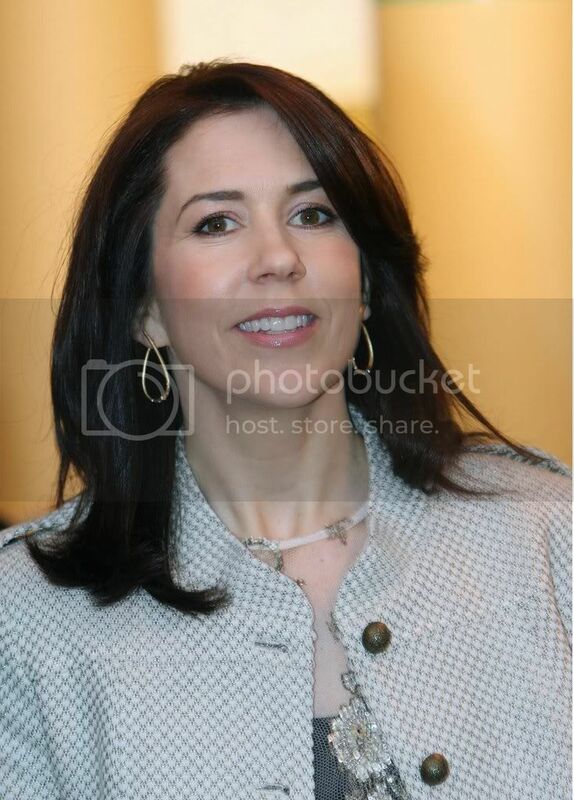 A new chapter is now being written and I am very pleased," she said. "The Crown Princess and I have found each other and our love has grown strong over the years. I want to thank the King and I want to thank the Queen," said the future Prince. "It is my task to act as a support for the Crown Princess and the important work she does for Sweden." 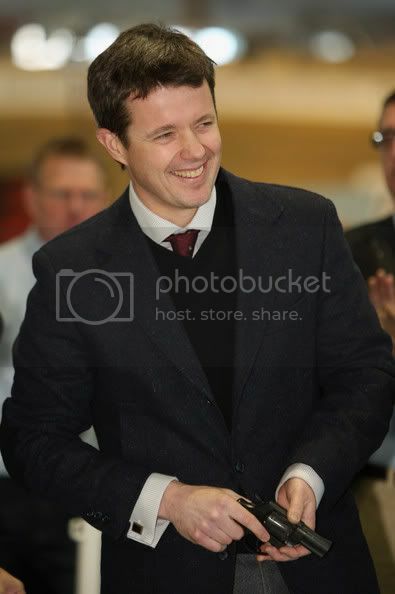 Frederik, Mary, Christian and Isabella are reported to have gone to Sweden to ski a couple of weeks ago, but it is not known whether they visited their royal relatives. Victoria is a godparent to Christian (and many more royal infants of Europe!) 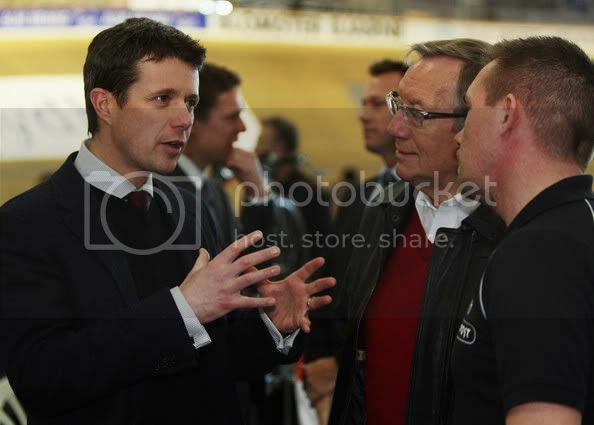 and has said Frederik and Haakon (Crown Prince of Norway) are like her brothers. Apparently the three are regular texters. Victoria has had some difficult years in which she struggled with anorexia and she has a face recognition disorder. She is reportedly close to Queen Margrethe, whom she considers to be a mentor. Victoria is known to be very diligent, gracious and popular, both in Sweden and among those she encounters in her official capacities for Sweden. It is therefore very natural that many in Scandinavian countries and elsewhere are happy for her and wish her well in her future with Daniel Westling, as does this blog! 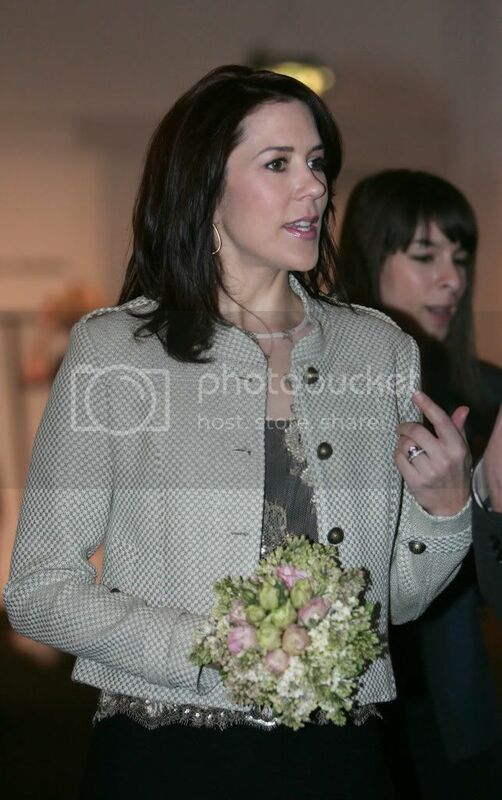 Crown Princess Mary was at the Designers' Nest Award and the CPH Vision 2009 show on Saturday, 7 February, 2009 as part of Copenhagen's Fashion Week (CIFF). 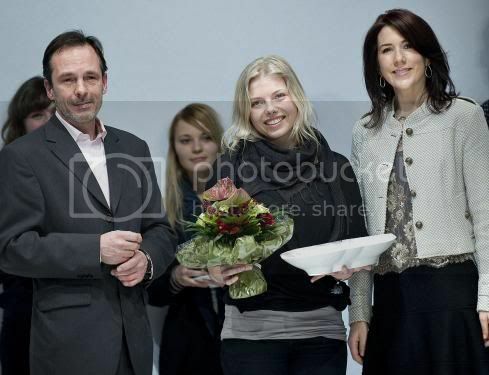 The Designers’ Nest Award was inaugurated in February 2005 to encourage a promising design student through acknowledgement by the established world of fashion and design. The winner of the Designers’ Nest Award receives a cash award of DKK 50,000, as well as a designed award memento, to encourage their talent and business advancement. 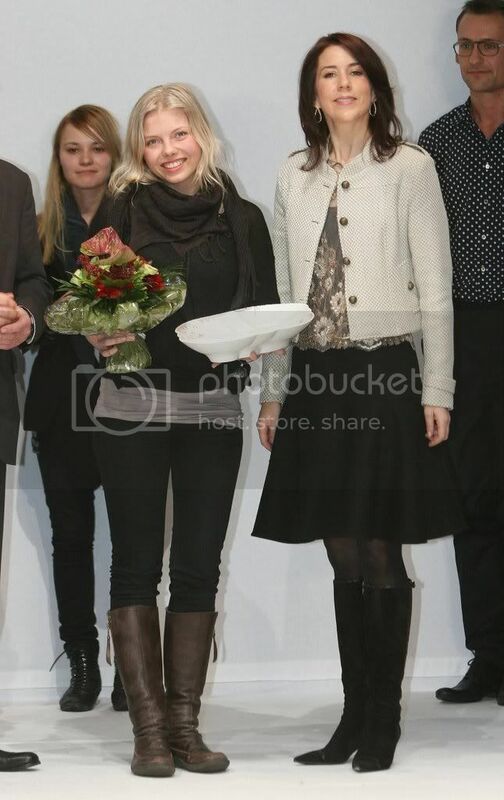 As patron, Mary's official visit included presentation of the Designers' Nest Award to Finnish designer, Sofia Järnefelt. 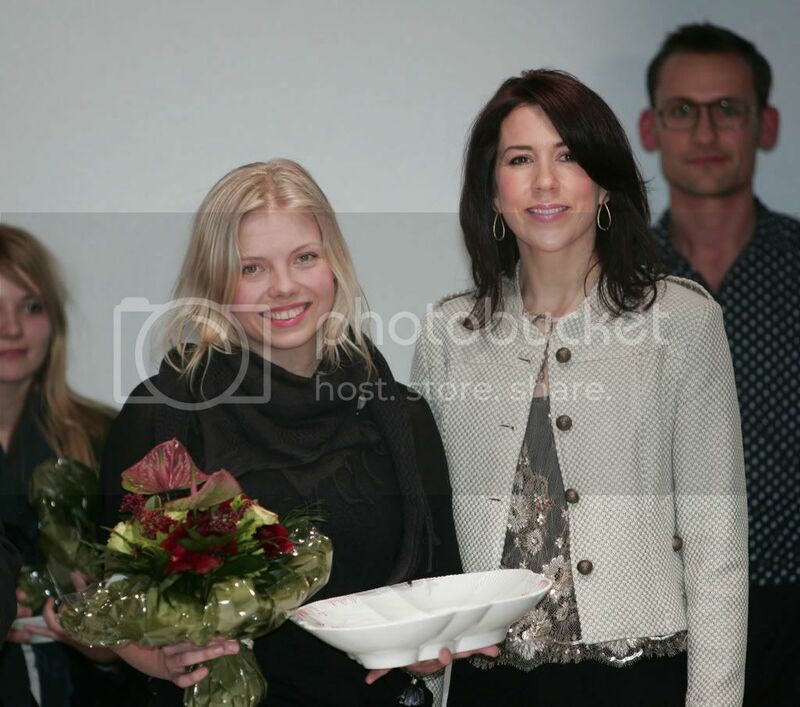 Crown Princess Mary attended the CIFF show By Marlene Birger at Docken on 6 February 2009. Over the years Malene Birger has proven to be one of Mary's favourite Danish designers. 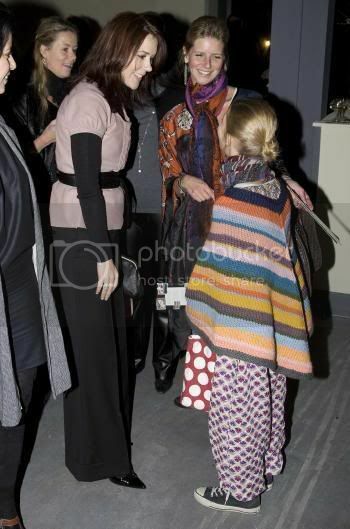 Countess Alexandra was present too and the two chatted together after the show. 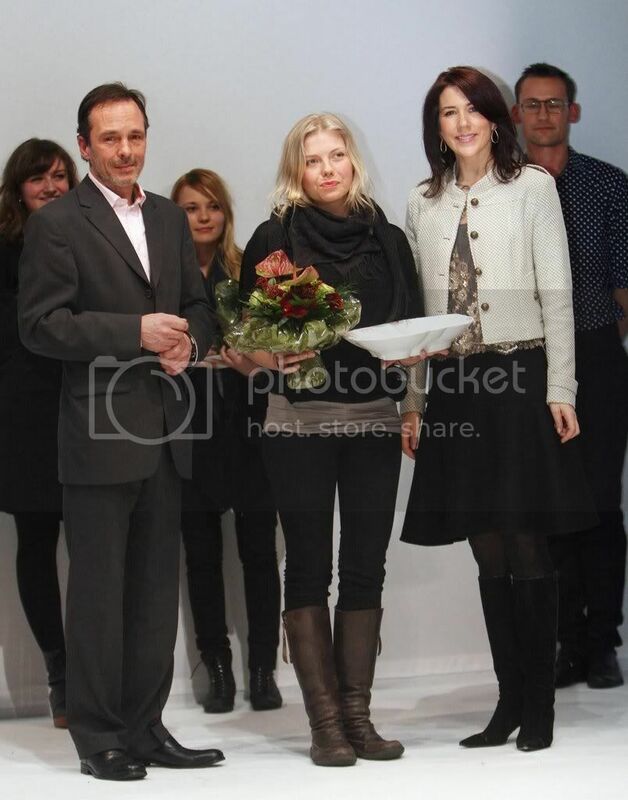 Also there were Tanja Doky, Mary's friend and stylist, Anja Camilla Aladji, Frederik's and Mary's Chief -of-Court Per Thornit and his wife, and friend Helle Reedtz-Thott. Along with chatting with Alexandra, Mary also encountered other friends.